I am honored to announce that one of my images, shown above, was recognized in the 2014 Photo District News (PDN) Great Outdoors Photography Contest as one of the top adventure images of 2014. The image was the runner up in the “Outdoor Sports & Activities” category. 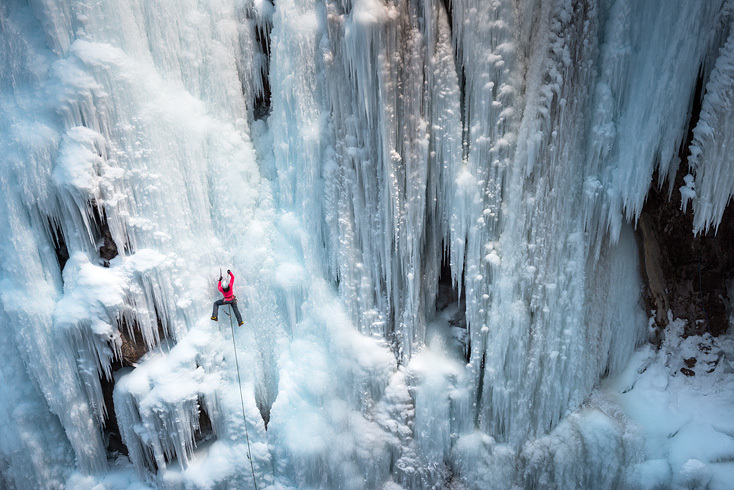 It was created in January 2013 in Ouray, Colorado at the Ouray Ice Park with ice climber Dawn Glanc. My thanks to the judges including Amy Silverman (Outside), Gaston Lacombe (ILCP), Keith Jenkins (National Geographic), Grant Ellis (Surfer Magazine) and Jon-Paul Harrison (Tandem Stills + Motion) for choosing to include my image alongside those from my peers Keith Ladzinski and Jimmy Chin. And of course, my thanks to PDN for putting on this photo competition and including my image in the latest issue of PDN and on their website.